The other day, Mega Fans joined Jana Sena Party in the presence of Pawan Kalyan at a meeting held in Hyderabad. Very soon, Even Chiranjeevi would be joining the party of his Younger Brother if the views expressed by few Mega Fans are to be believed. Chiranjeevi became a free bird after the end of his Rajya Sabha Term in March this year. This is why he allowed all of his fans to extend support to Jana Sena Chief. Since bifurcation, Chiranjeevi isn't active in politics. He might be seeing a ray of hope in Jana Sena to prove his mettle as a Politician. Not only those in Telugu States, Even Mega Fans from Karnataka, Tamil Nadu and Maharashtra joined Jana Sena Yesterday. This gave an indication that Chiranjeevi would resign to Congress Party anytime soon. There is pressure from Fans on Megastar to join hands with his Younger Brother. 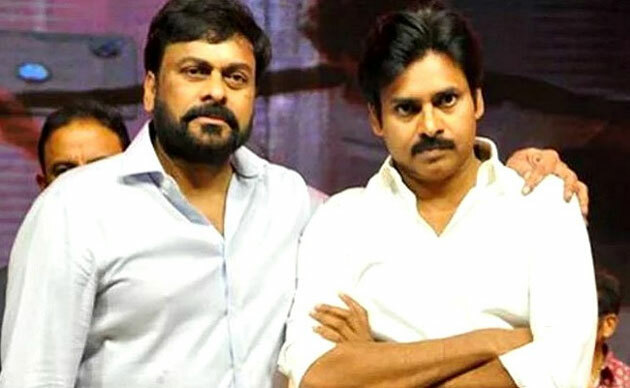 While addressing Mega Fans, Pawan Kalyan claimed he would always abide by the orders of Chiranjeevi. He felt lack of accountability among leaders of Praja Rajyam Party led to it's downfall.